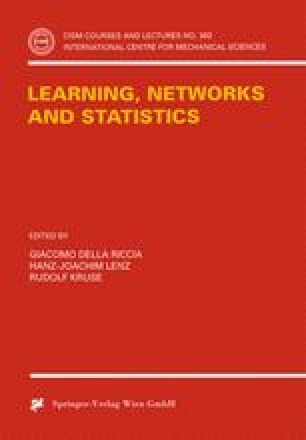 Two algorithms for supervised learning of classifications are discussed from the point of view of the usefulness of including statistical methods. It will be demonstrated that statistical considerations of very general nature (i.e. without assumptions on class distributions) can lead to substantial improvements of the learning procedure and the constructed classifiers. The decision tree learner CAL5 converts real-valued attributes into discrete-valued ones the number of which is not restricted to two. Pruning occurs during tree construction. The hybrid (statistical/neural) algorithm DIPOL solves the problem of choosing the initial architecture and initial weights by statistical methods and replaces additional hidden layers by a Boolean decision function. Both algorithms are also discussed within the framework of the ESPRIT-Project StatLog where about 20 of the most important procedures for classification learning are compared using statistical criteria.